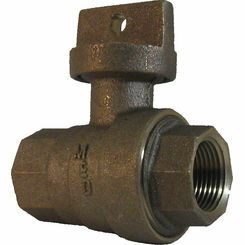 Control the flow of water in a variety of applications with ball valves. 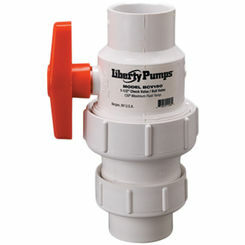 The right valves can make all the difference when it comes to plumbing and irrigation. 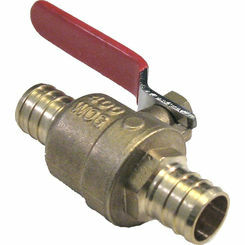 A ball valve can be used in either household appliances or in a commercial setting. 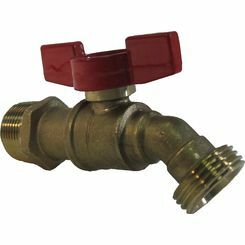 We carry bronze, PVC, stainless steel, and more, from trusted brands (Watts, AY McDonald, Little Giant, etc.). 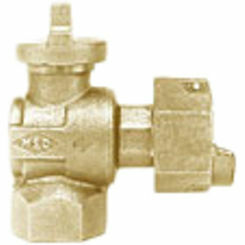 It is a type of valve that contains a “ball” in the middle of the passageway blocking the fluid that flows through. 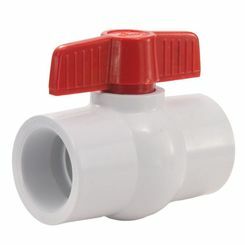 This ball has a hole through the middle of it, so when the valve is opened the hole in the ball allows fluid to pass through the piping. 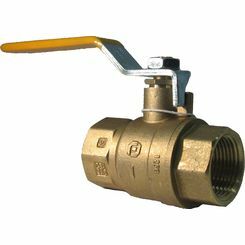 A closed valve is when the hole in the ball is perpendicular to the tube and the fluid flow is stopped. 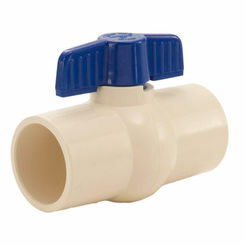 This valve is controlled by a handle on the outside of the tube when it is turned one way or the other. 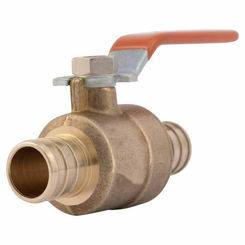 Ball valves are durable and are very easy to operate for quick water shutoff. 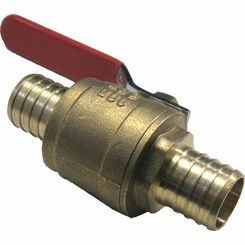 They are typically used in industrial appliances because they are very versatile. 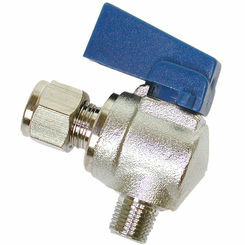 They can handle strong fluid pressures and extreme temperatures. 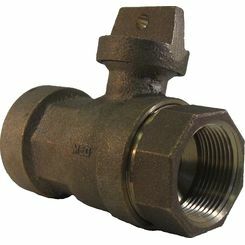 They come in different sizes and are easy to repair and operate. 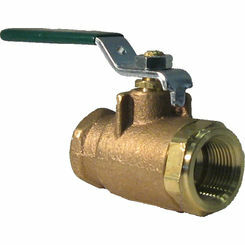 We carry ball valves that range in size from 1/8 inches all the way up to 4 inches. 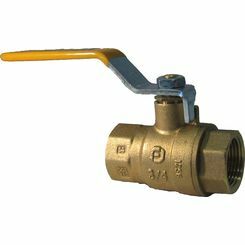 There are many different types of ball valves; the first is the full port valve where the ball is oversized so that the hole is the same size as the pipeline which causes less friction. 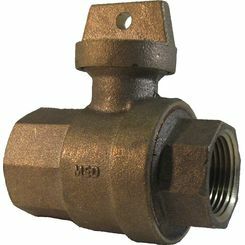 A reduced port valve is when the fluid flow is one pipe size smaller than the valves pipe size; lastly the v port ball valve has v shaped ball or seat to allow more control when opening and closing the valve. There are many other types but these three are the most common. 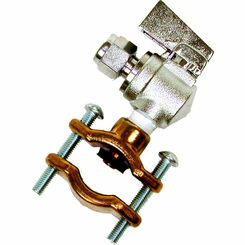 Each one is constructed in a different manner to better fit the needs of the customer. 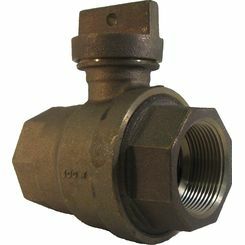 Ball valves come in many different shapes and sizes, and it can be difficult to know which one is right for you. There are many questions you need to answer before making a purchase. Is it for an industrial appliance or a household device? 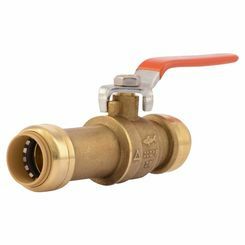 How much pressure can the valve take before it cracks or breaks? With so many questions that need answering, it is important to have all the help you can get. At PlumbersStock we are dedicated to giving you the assistance you need so please feel free to contact our team today at 435-868-4020 with all your questions. 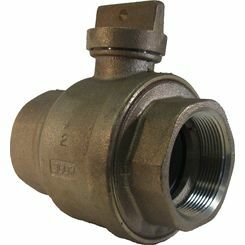 Our customers love us not only for our excellent service, but because we offer the best pricing for all kinds of fittings.